NOAA's Office of Law Enforcement is investigating a case involving a pregnant bottlenose dolphin found dead on the beach in Waveland, Miss. 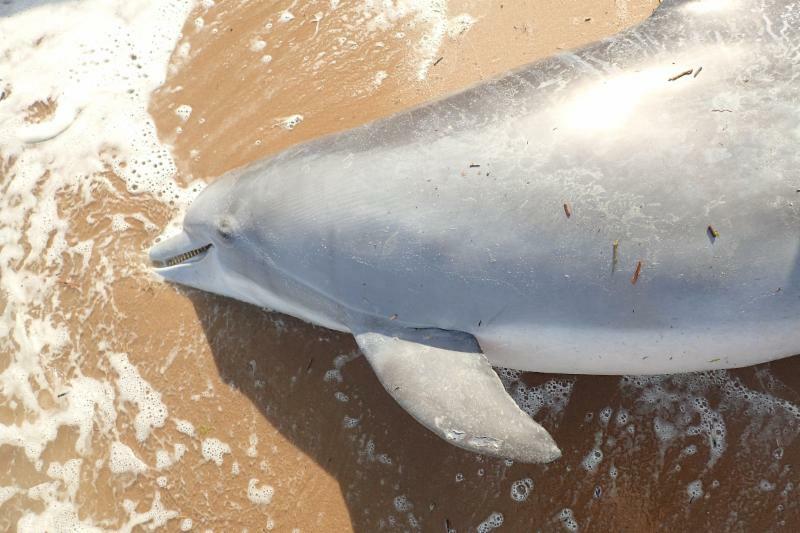 A necropsy, or animal autopsy, revealed the mother dolphin died of a gunshot wound, with the unborn calf dying as a result of the mother's death. NOAA's stranding network partner, the Institute for Marine Mammal Studies (IMMS), recovered the dolphin on April 30th and placed the animal in their freezer until a thorough necropsy could be conducted. It was during necropsy that the gunshot wound was discovered. 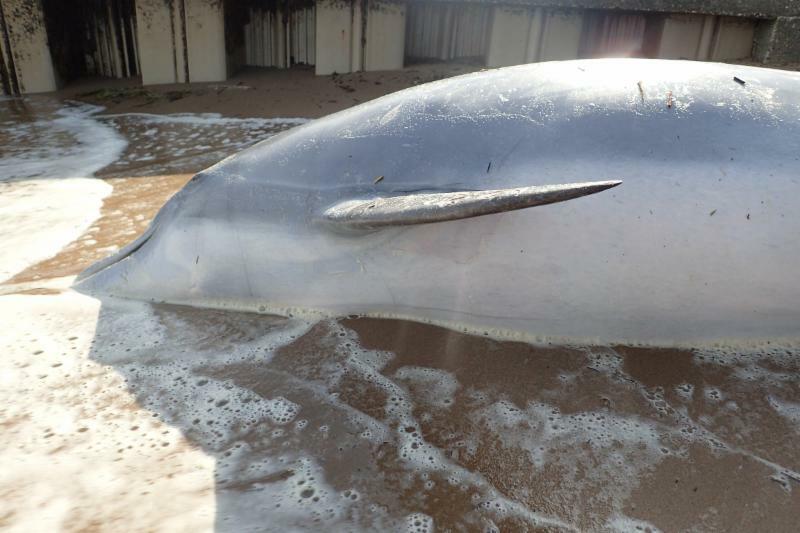 A small caliber bullet was found lodged in the dolphin's lung and proved to be the cause of death. NOAA officials seek information from anyone who may have details about this incident. Please call the NOAA Enforcement Hotline at 1-800-853-1964 or the Slidell, LA, Enforcement Field Office at 985-643-6232. Tips may be left anonymously. Lightkeepers, The Humane Society of the United States, CetLaw, Ocean Experience, the Animal Welfare Institute, Dolphins Plus Marine Mammal Responder, the International Fund for Animal Welfare, Hunter College Director of the Animal Behavior and Conservation MA Program and other private donors are offering a combined reward of $13,000 for information leading to the successful identification and/or prosecution of the person(s) responsible. Include your name and contact information when calling enforcement to be eligible for the reward. The numbers of violent incidents toward dolphins in the Northern Gulf have increased in recent years. Since 2002, at least 24 dolphins (including this one), have stranded with evidence of being shot by guns or arrows, or impaled with objects. Sixty-eight percent of those strandings have occurred since 2010. NOAA is also asking for the public's help in preventing future harm to dolphins by not feeding or attempting to feed them. Dolphins that are fed by people learn to associate people with food and put themselves in dangerous situations when they approach people, boats, and fishing gear looking for food. They can learn to approach fishing gear and to teach this behavior to their young. Such behavior has, in some cases, resulted in violence toward dolphins by fishermen frustrated by the loss of their catch. You should never feed or attempt to feed dolphins from vessels or from shore. Harassing, harming, killing or feeding wild dolphins is prohibited under the Marine Mammal Protection Act of 1972. Violations may be prosecuted either civilly or criminally and are punishable by up to $100,000 in fines and up to 1 year in jail per violation.